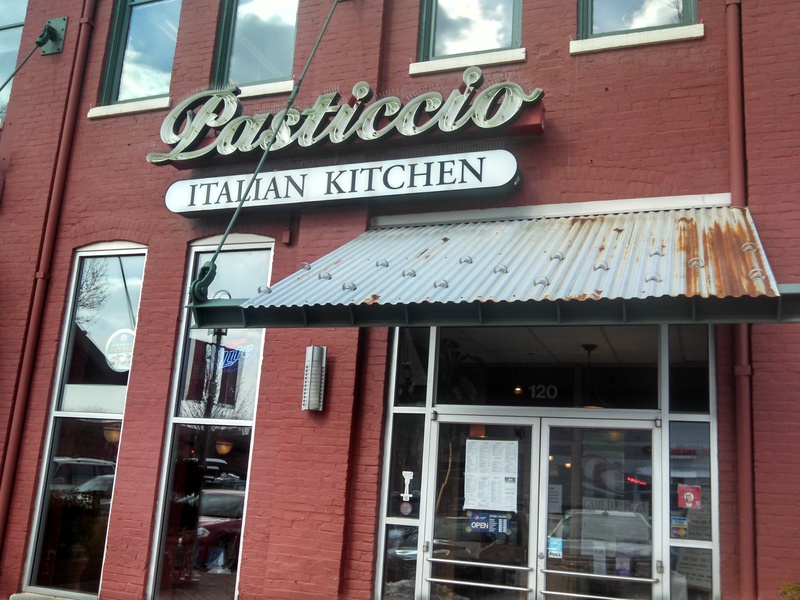 There is something charming about this neighborhood pizza place, nestled in a cozy location, in the nooks and crannies of Canton. Giovanni’s Tutti Gusti has a great staff and equally amazing energy, which adds to the soul and the heart of their food. They always greet their patrons like one of their own. It’s the little things that are the big things. Many of my friends who a residents of Canton, Brewers Hill, and Highlandtown; have given mainly glowing reviews of their pies. It took me way too get here. I drove by this establishment countless of times, never to pay it any mind. Shame on me. 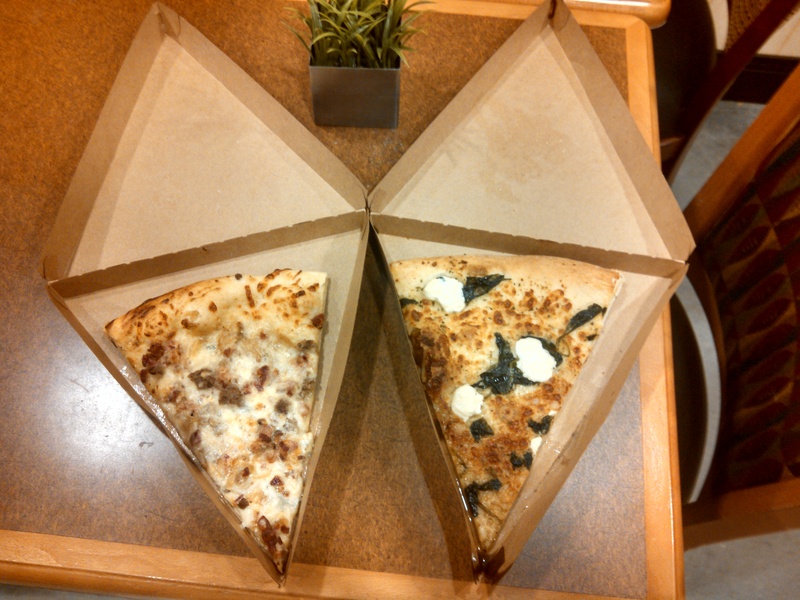 Their slices have never disappointed and are noticeably cheaper compared to the competition. 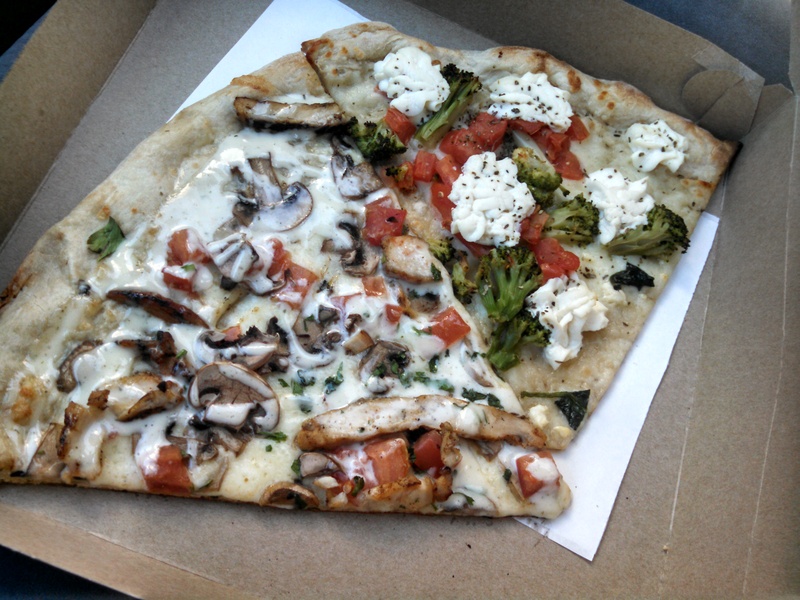 The two slices I purchased today (which are pictured above), were the Chicken Ranch and the Pizza Bianca (White Pizza). Both were heavenly. The Chicken Ranch is habit forming. To begin, the ranch sauce is out of this world. I don’t know if there’s any hidden ingredients, but my goodness. It can’t be put into words how good this tastes. It’s topped with grilled chicken, that tastes like real grilled chicken; mushrooms, tomatoes, and what looks to be basil. Nothing gets lost in the shuffle here. This might be my favorite pizza from here. This slice never had a chance. The White Pizza tastes wondrous as well. It’s a simple concoction of ricotta, mozzarella, broccoli, and tomatoes. 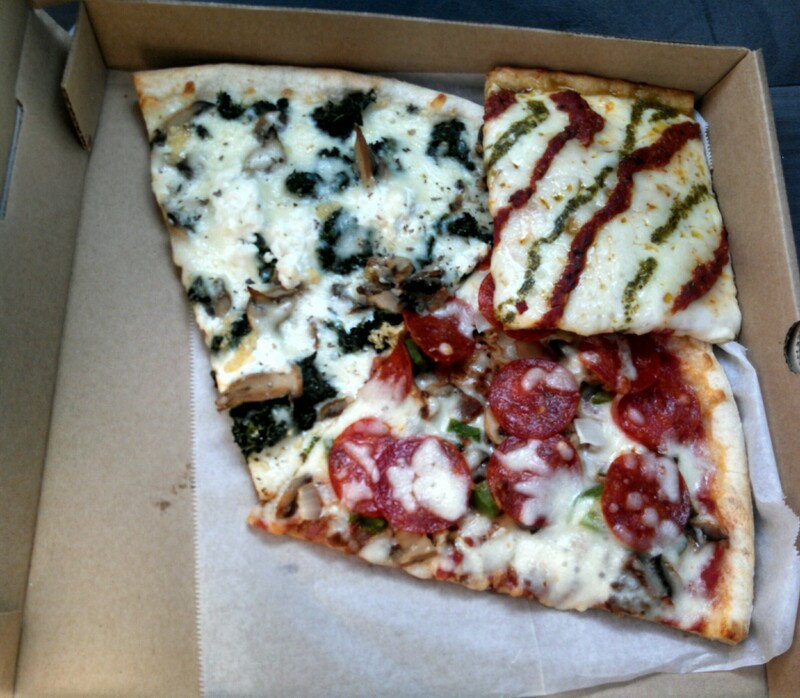 I am really like the way vegetables tastes on pizza right now. It’s what my taste buds are feeling at the moment. One more thing, the way the crust is prepared is insane. It is a perfectly cooked thin crust. I would like to know where this dough is from or if it’s made in house. I detect an ever so slight buttery taste to the crust as well. Or that could just be the Ranch sauce. I have only been here a handful of times and I will be back soon. I am asking these questions, well, because I am still fairly new to Tutti Gusti’s and I am here inspiring pizza research. I strongly recommend this place. Their pizza is delicioso and there’s a magnificent aura from within. On the few occasions I have visited, I have seen all types of folks from what walks of life in here; from police, firefighters, business people, students, locals, and everyone in between. No matter what we do, in the end, we all want some good pizza to eat and something fun to talk about. For that, and many other reasons, we are all the same. And we’re in this thing together.